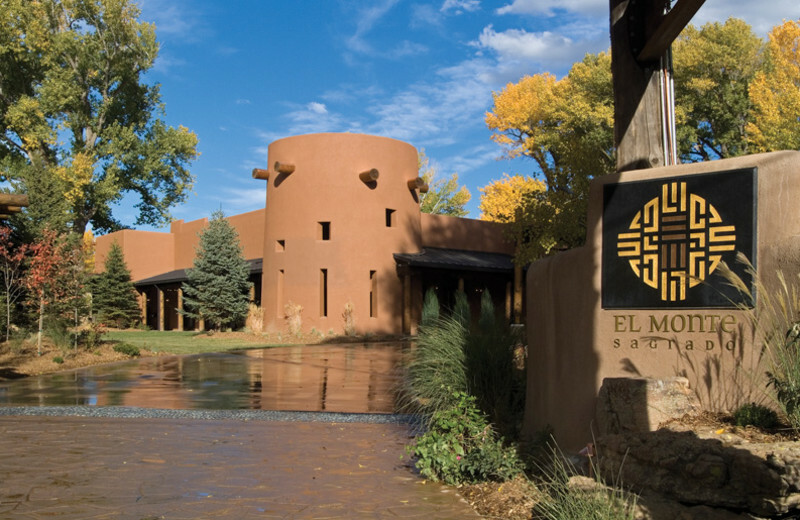 Showcasing breathtaking southwestern landscape, Native American-inspired architecture, and luxurious amenities, El Monte Sagrado is a premier New Mexico getaway. 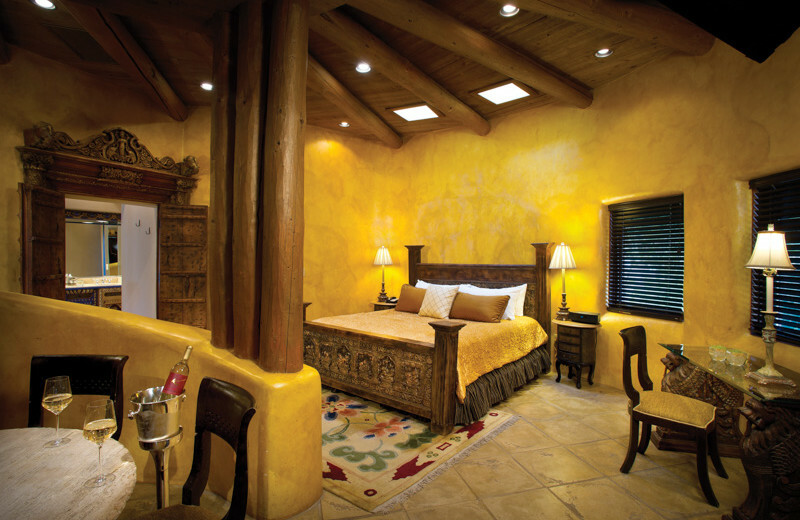 Here, rooms are many a varied in themes, ranging from the American West to charm of Old World Europe. 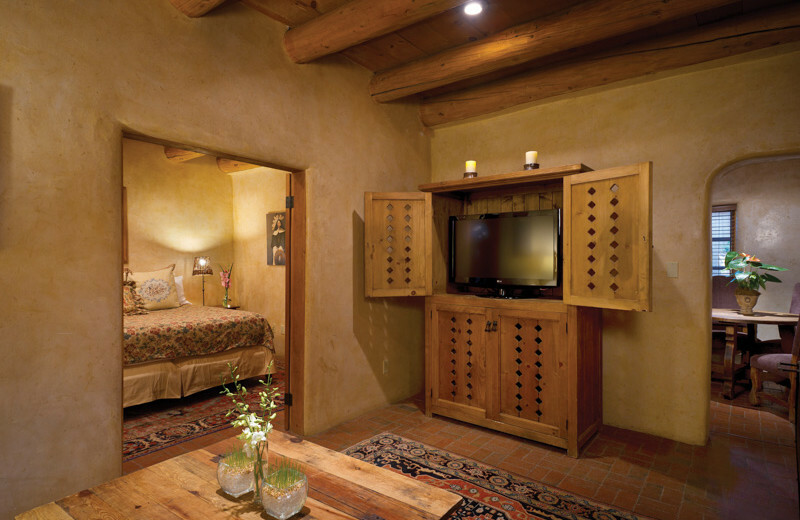 Yet all of the 48 Taos Mountain rooms, 18 Native American Suites, six historic Casitas and 12 luxurious Premiere/Global Suites maintain the quality and propriety you'll find throughout the resort. 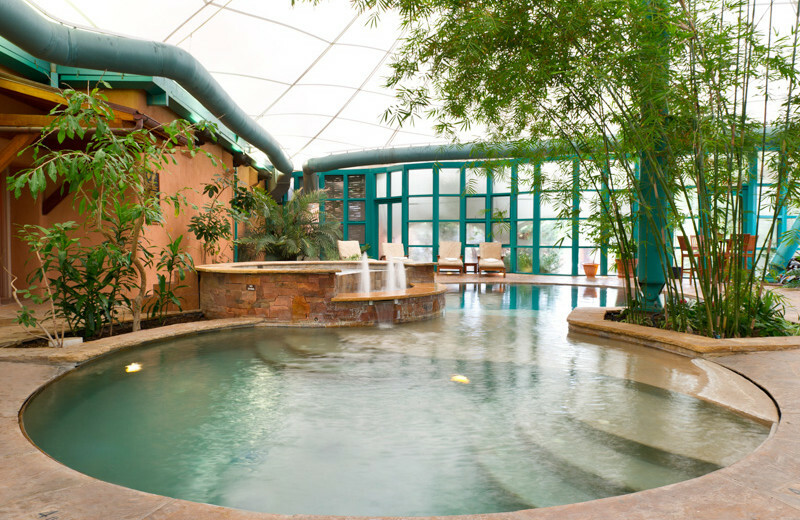 Meanwhile, feel free to soothe your mind, body, and soul at the Living Spa, where facials, massages, and the like are preformed with gusto. 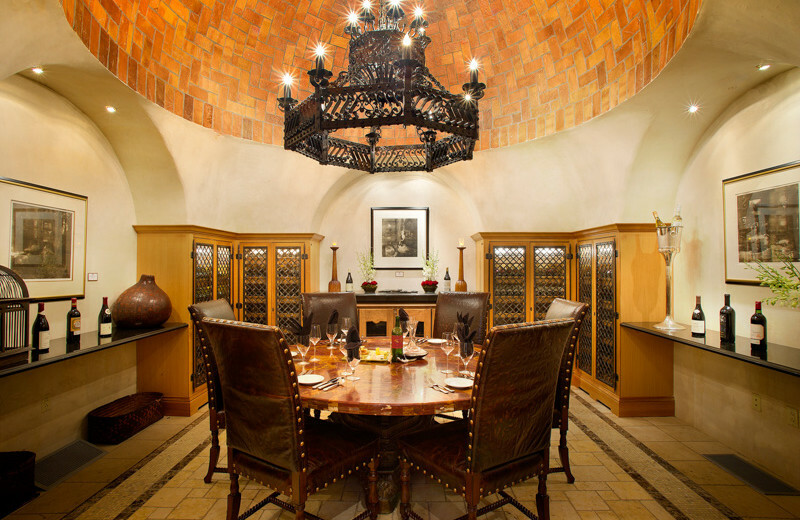 Once you're spiritually satisfied, please your taste buds at the on-site restaurant De la Tierra, which features world-class cuisine and decor. 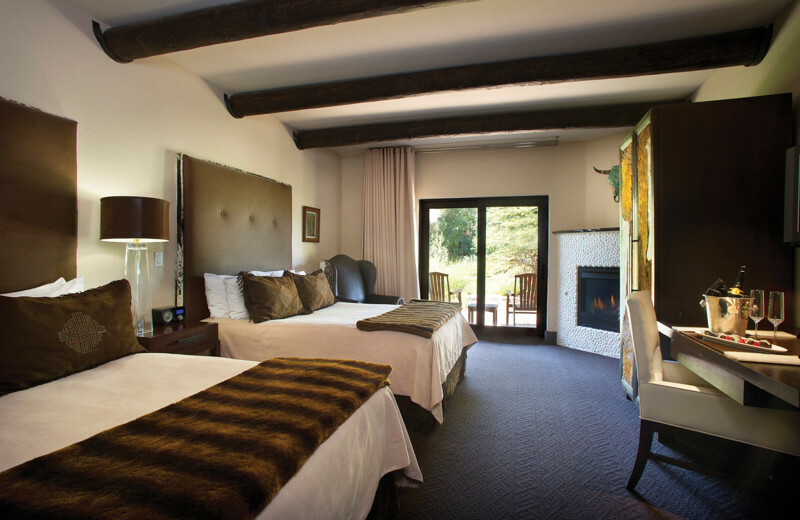 After you're fully replenished, head out into the mountainous landscape for some hiking, skiing, or fishing. 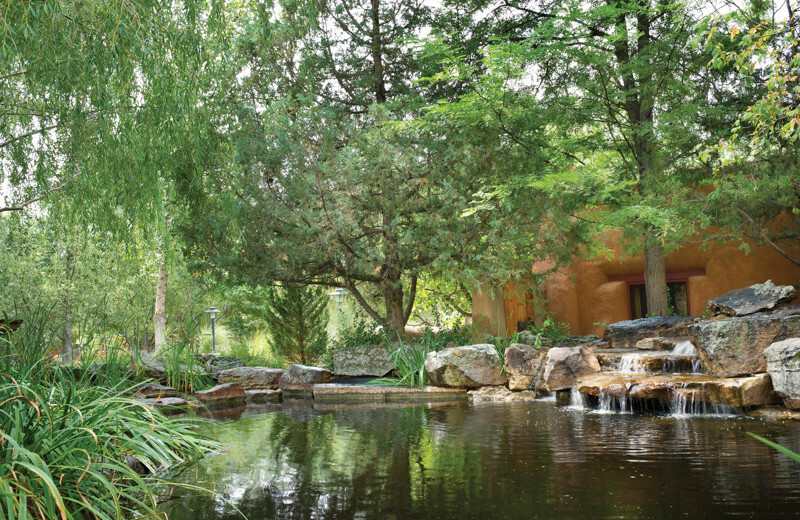 At El Monte Sagrado, you will find inner peace! 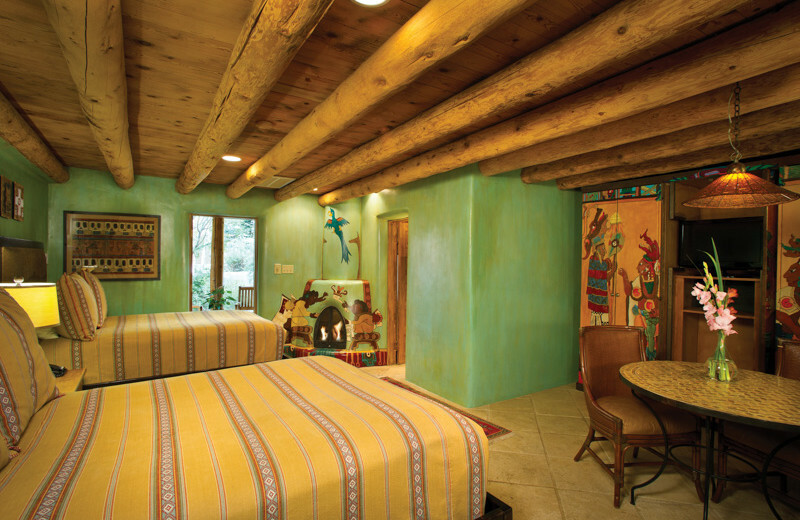 When you and your family aren't relaxing in your exquisite accommodations, you'll be out and about in scenic Taos! 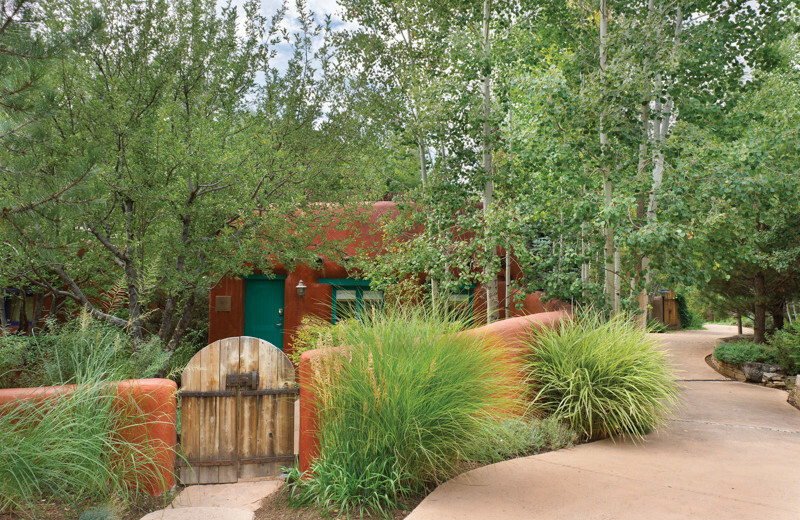 Take a tour of the area's natural beauty with Heritage Inspirations, which will combine the sights with a walk through Taos' storied past. Go rafting under Taos Gorge Bridge with Los Rios River Runners, or book a fishing adventure with Los Rios. 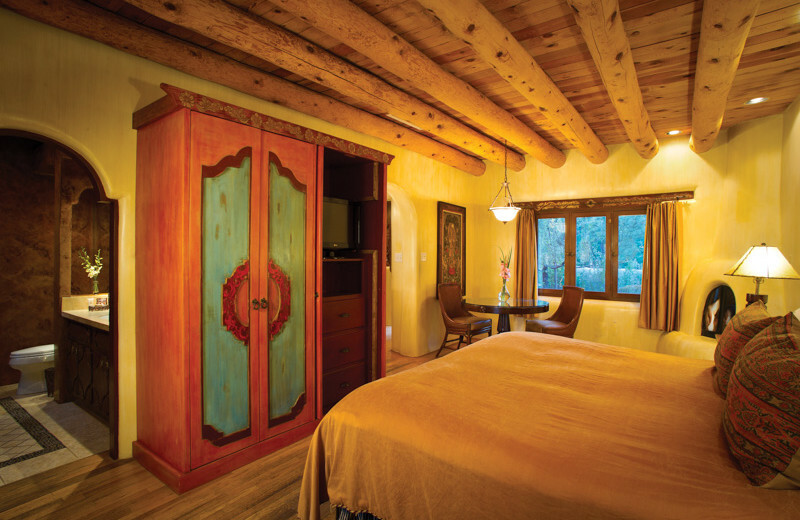 Adventure is never very far away during a stay with El Monte Sagrado! 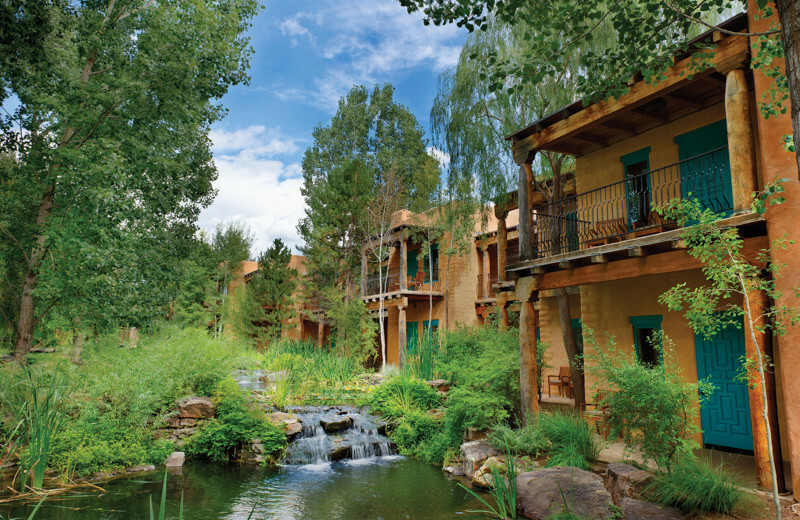 The El Monte Sagrado is the perfect place to host your next Taos corporate retreat. 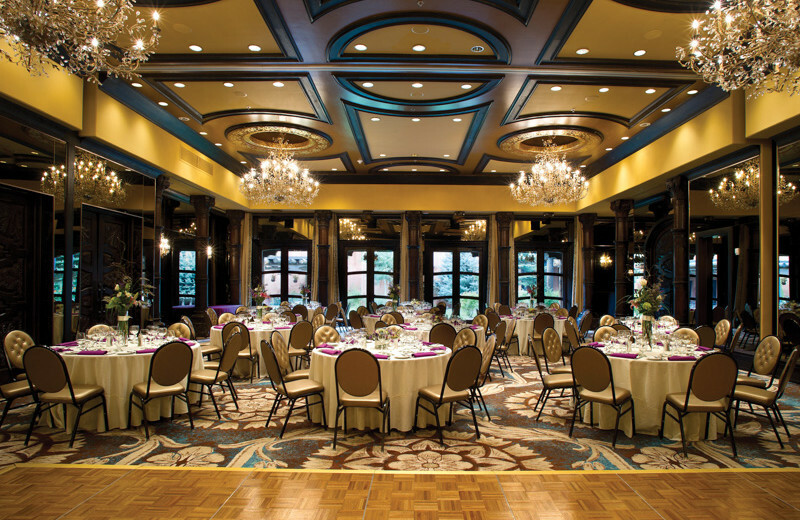 You will find 7,000-square-feet of elegant and flexible function spaces to choose from for your event. 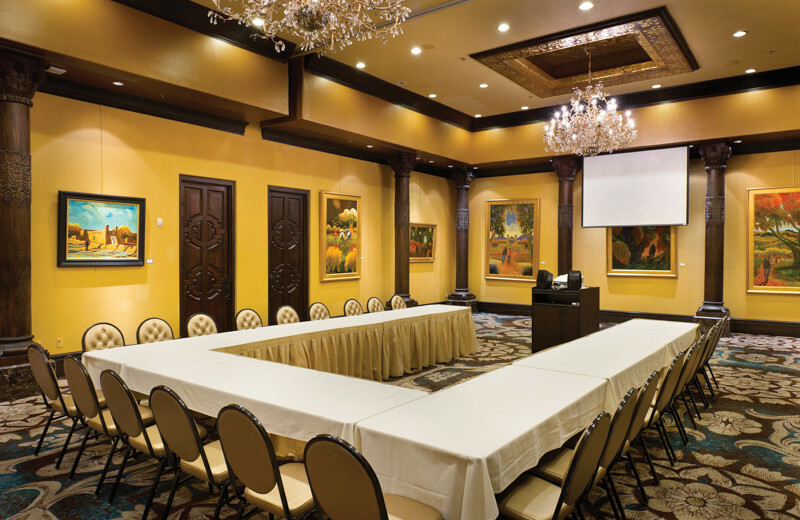 Whether you're planning a large conference or seminar, or a small board meeting, you'll have everything you need for an exceptional retreat. 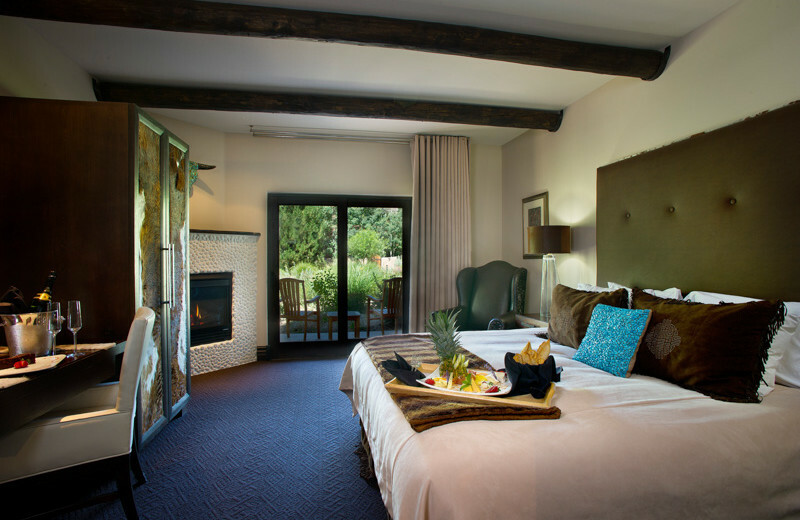 Let their staff assist you in planning the ultimate business getaway today! For an extraordinary view of nature, cruise along the Enchanted Circle, an 84-mile day trip of the National Forest Scenic Byway, which is the highest altitude in New Mexico at 13,161 feet. This awe-inspiring drive features some of the oldest rocks in the southwest. 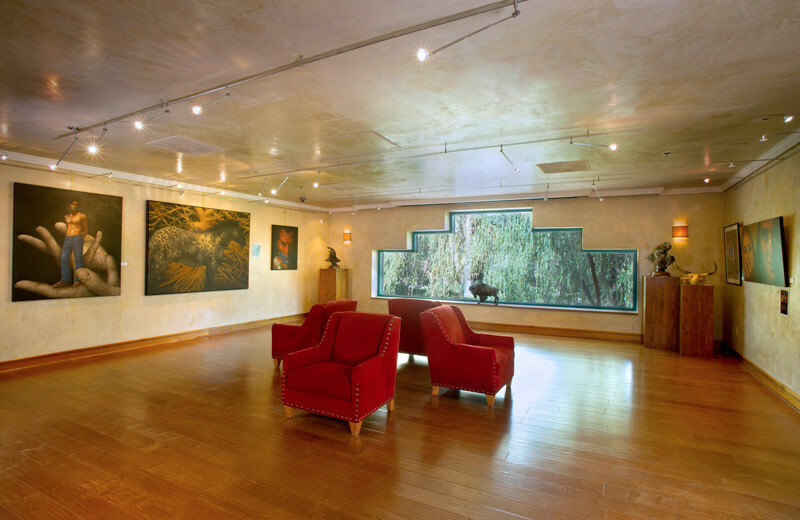 Make El Monte Sagrado the central hub for your nature vacation today! 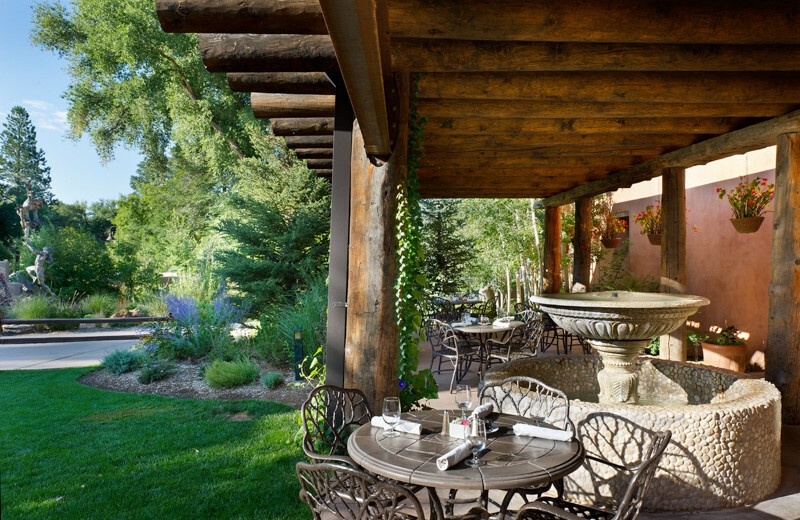 The award-winning De la Tierra Restaurant features creative menu of global and local influences, perfect for a bite to eat before you head out for a romantic night on the town. 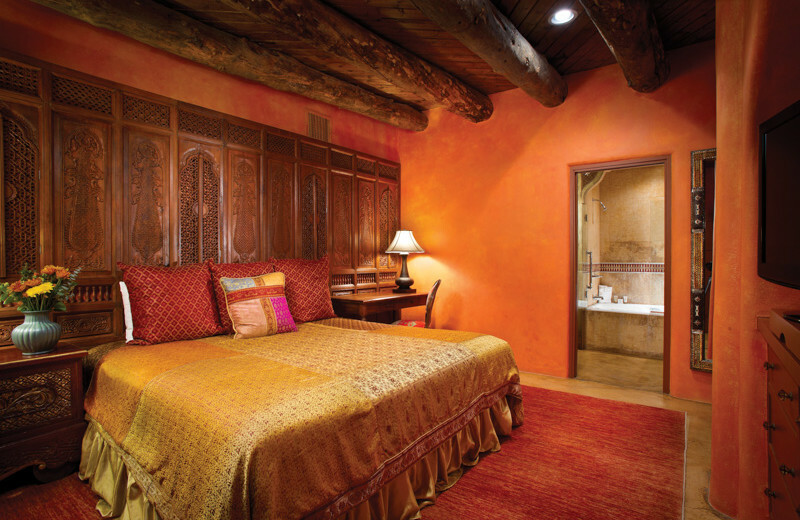 Or, perhaps, you'd like to be romantic right here at El Monte Sagrado? 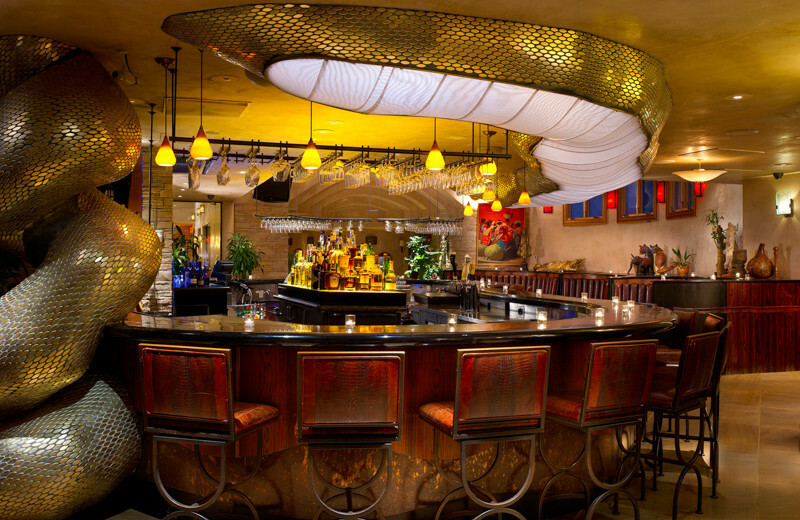 Nightlife is hopping at The Anaconda Bar, which features a giant anaconda sculpture, a lavish aquarium, and a lively atmosphere. 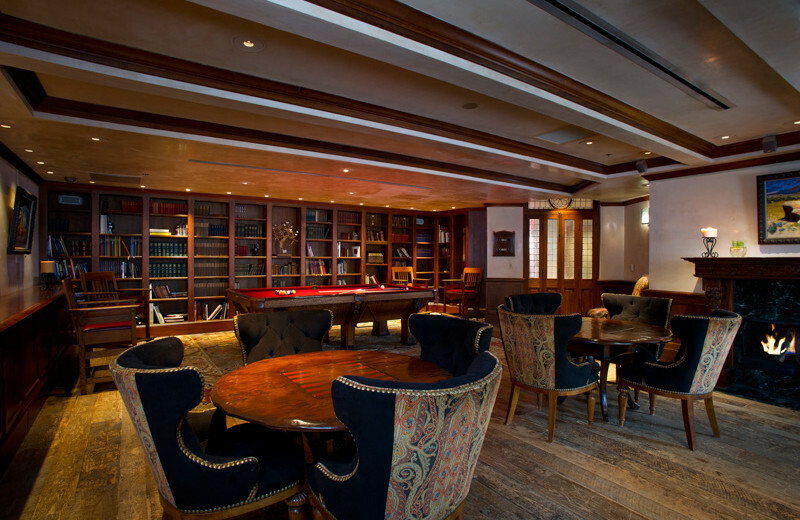 Enjoy a signature drink while the live, local entertainment and chic décor sets the mood. 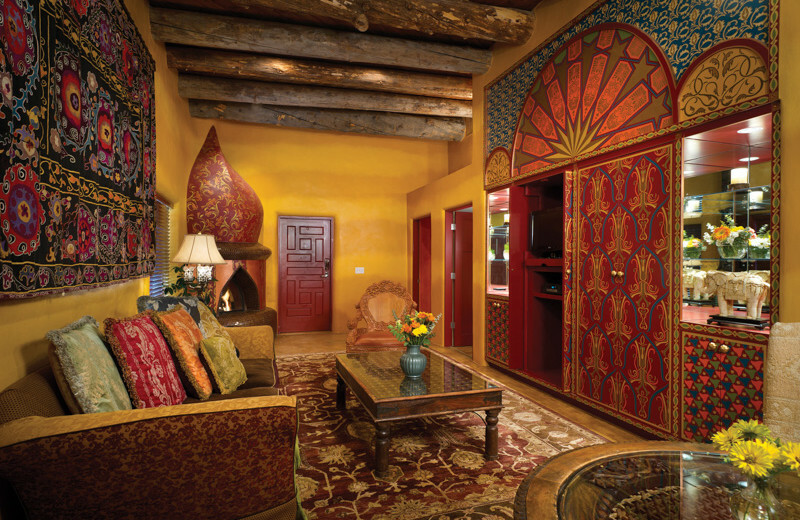 Come to New Mexico and stay at El Monte Sagrado and experience a luxurious vacation. 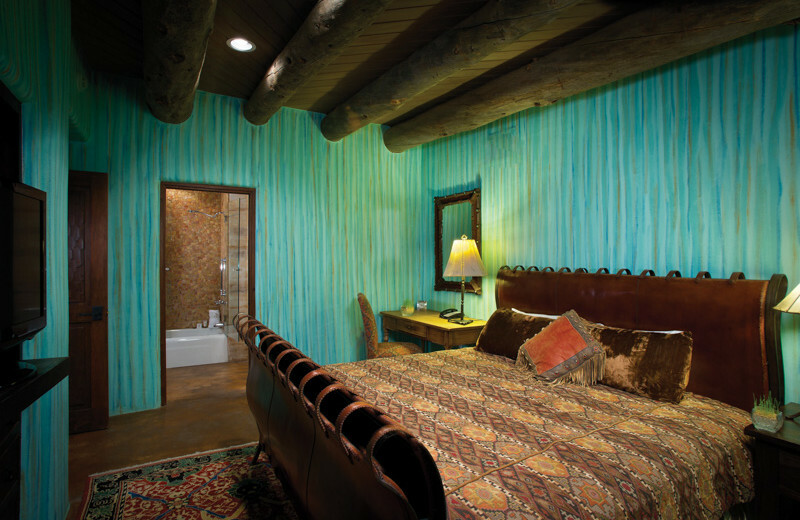 Here, rooms are many a varied in themes, ranging from the American West to charm of Old World Europe. 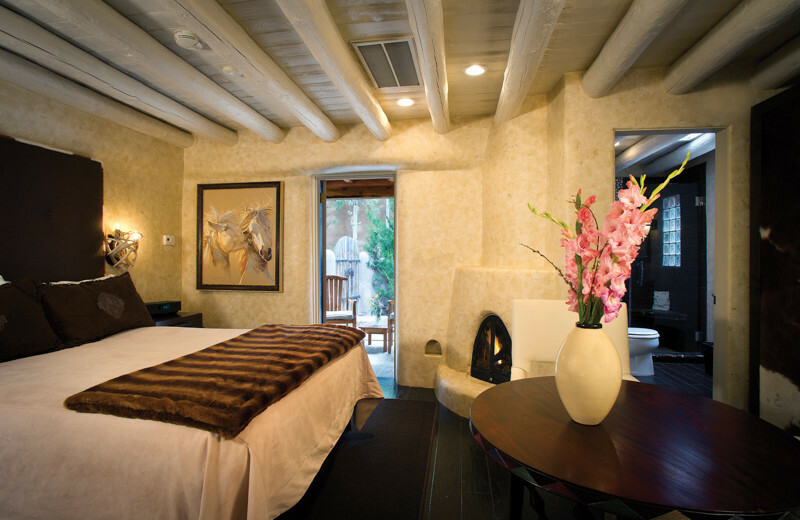 Yet all of the 48 Taos Mountain rooms, 18 Native American Suites, six historic Casitas and 12 luxurious Premiere/Global Suites maintain the quality and propriety you'll find throughout the resort. Meanwhile, feel free to soothe your mind, body, and soul at the Living Spa, where facials, massages, and the like are preformed with gusto. 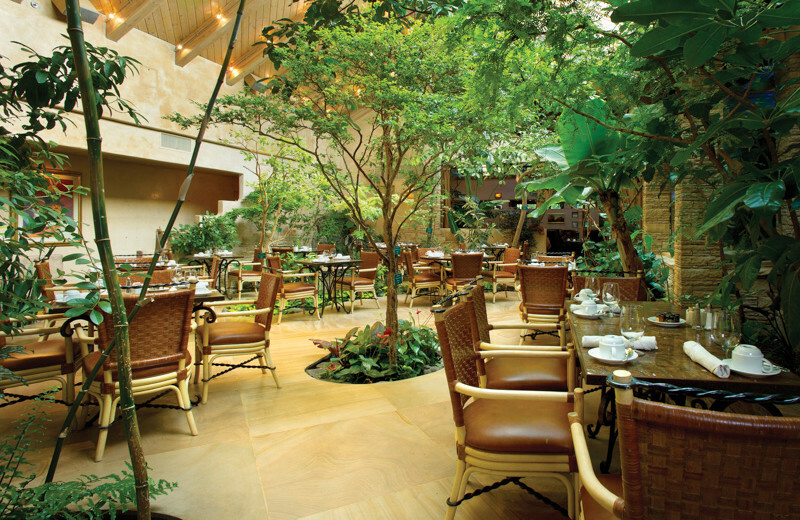 Once you're spiritually satisfied, please your taste buds at the on-site restaurant De la Tierra, which features world-class cuisine and decor. 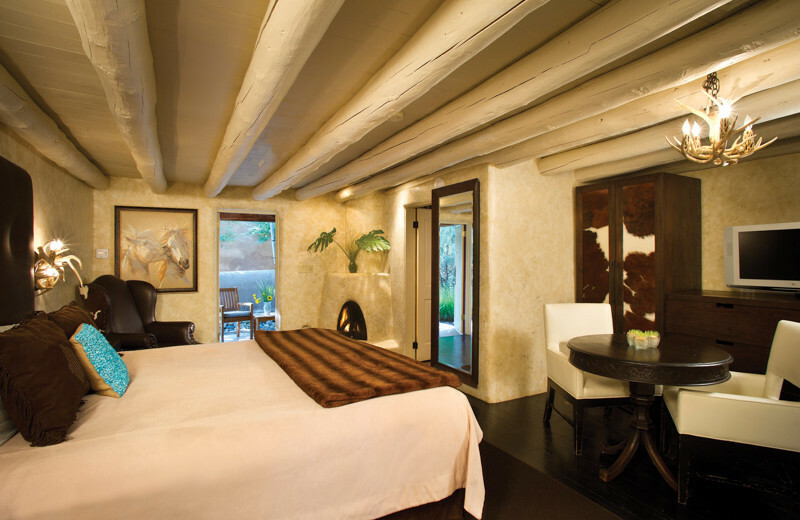 You'll have the time of your life on your next vacation! 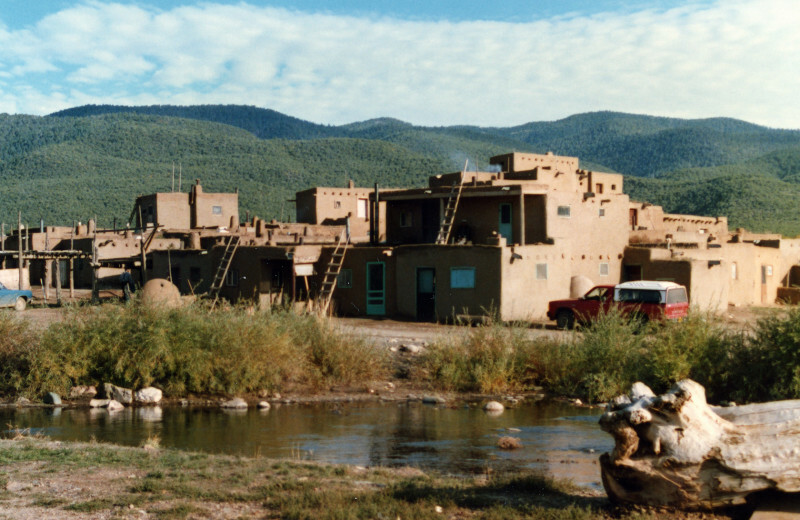 Immerse yourself in the culture of Taos Pueblo, the only living Native American community designated both a World Heritage Site by UNESCO and a National Historic Landmark. 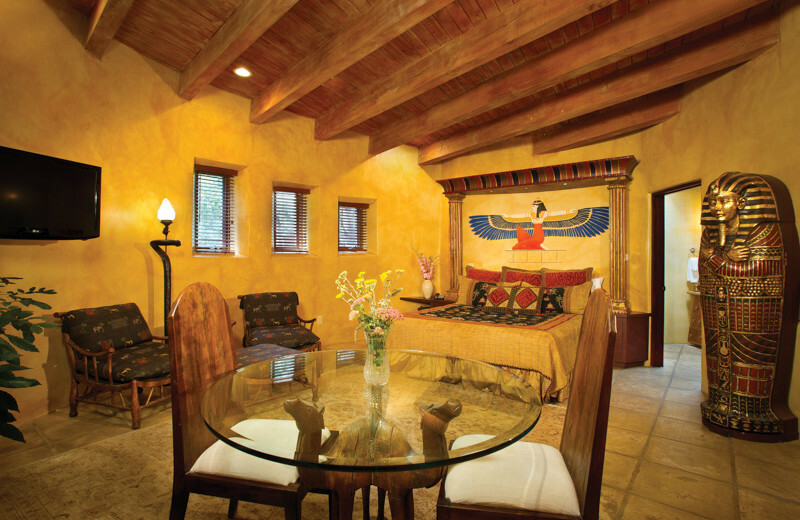 The multi-storied adobe buildings have been continuously inhabited for over 1,000 years and visitors can experience ancient ceremonies, feast days, and dances. 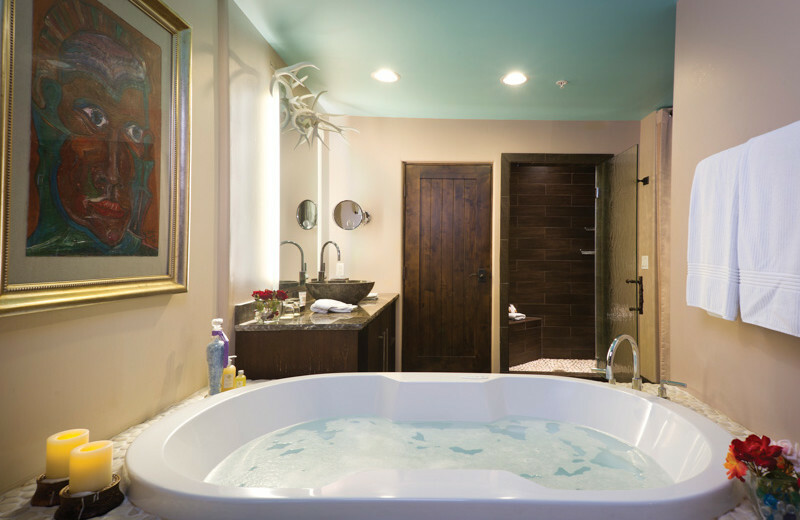 Take a moment to relax at the Living Spa at El Monte Sagrado. 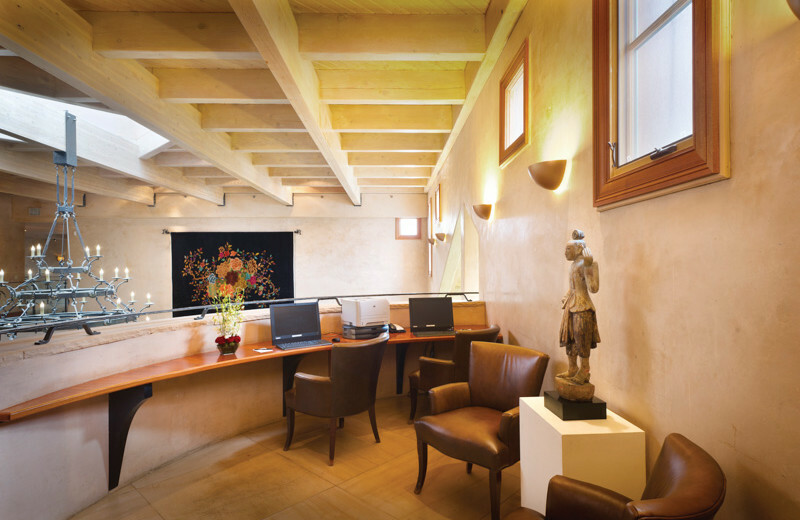 Choose from a wide range of soothing treatments including massages, body therapies, reflexology, and much more. 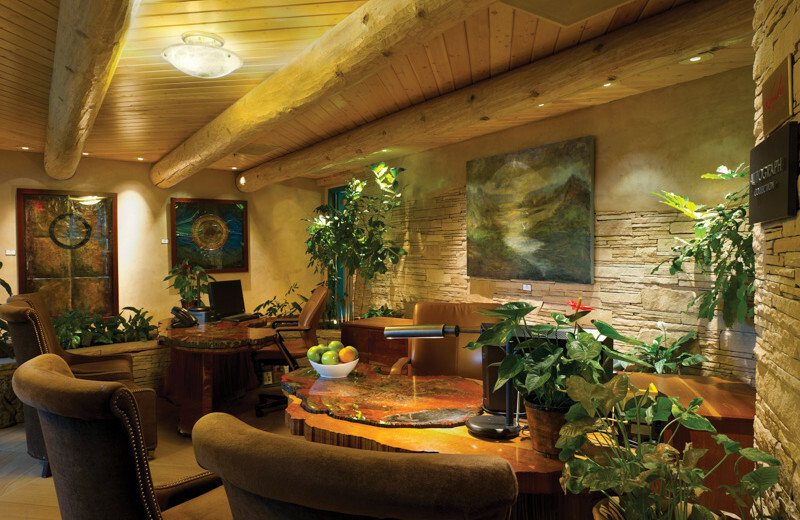 Their professional staff will help you rejuvenate your mind, body and soul so you can leave feeling completely like new!